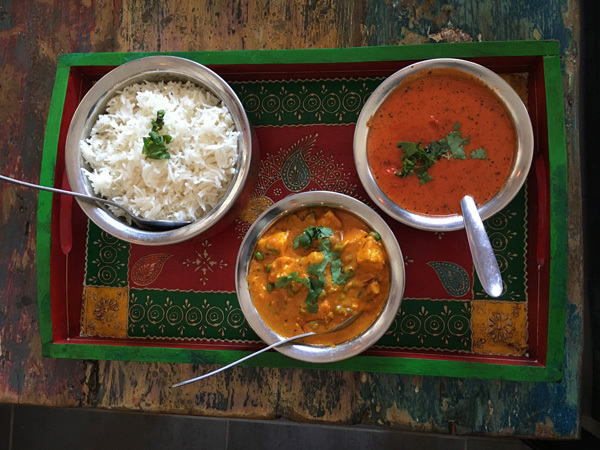 After months of stalking the Himalaya Cafe on Route 1 in Old Saybrook, they finally opened their doors. 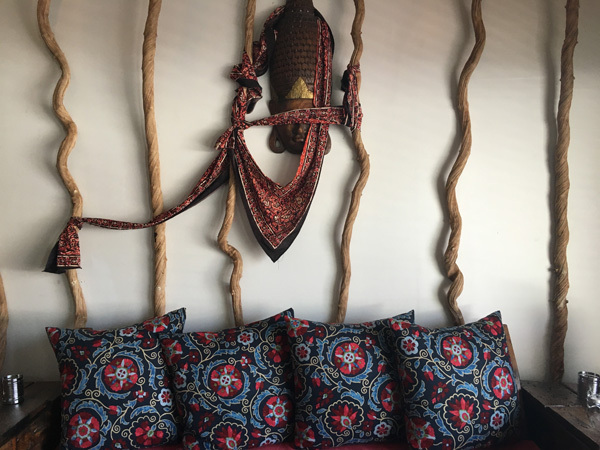 The rustic yet hip interior is decked out with upcycled, painted barn-wood furniture topped with Indian printed textiles and accent pillows. The vibe is loungey, and for now, they’re serving beer and wine only, while hot pans of intoxicating spices sizzle behind the bar. 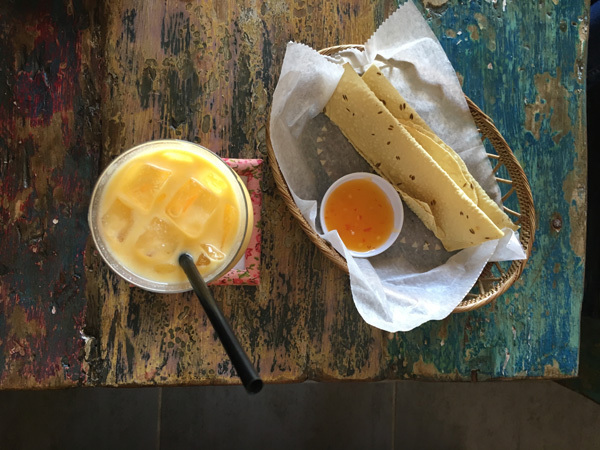 We started with a basket of Papadum – a crisp rounded cracker made from peeled black gram flour (a kind of chickpea) and lentils served with a pretty side of sweet pickled mango. Me, I can never pass up a chance for Chicken Tikka Masala. After years of hightailing it to Middletown to indulge myself in England’s favorite dish, the idea of having a good one at my fingertips is thrilling! Their rendition of char-grilled chicken swimming in a creamy, fragrant tomato sauce was the best I’ve had in a very long time. 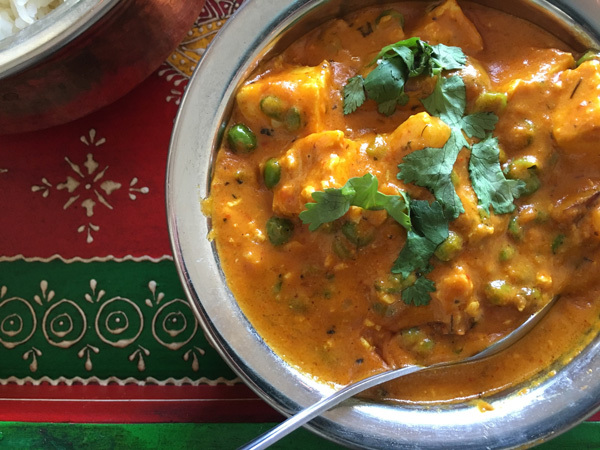 My vegetarian lunch date chose the tasty Aloo Paneer Matar, a comforting dish of green peas, potatoes and spiced cheese cubes blended with aromatic spices and cream. 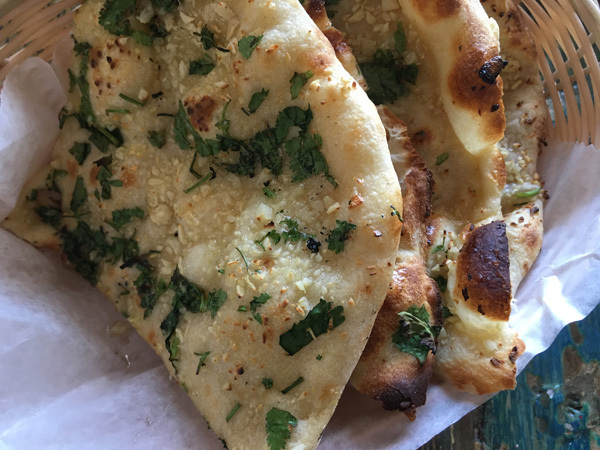 In the spirit of sampling, we had to have an order of Garlic Naan (Indian flatbread cooked in a clay oven with garlic and coriander) to sop up the sauces and a cooling Mango Lassi (rich yogurt blended with fresh mango). Both were as on point as the main dishes. 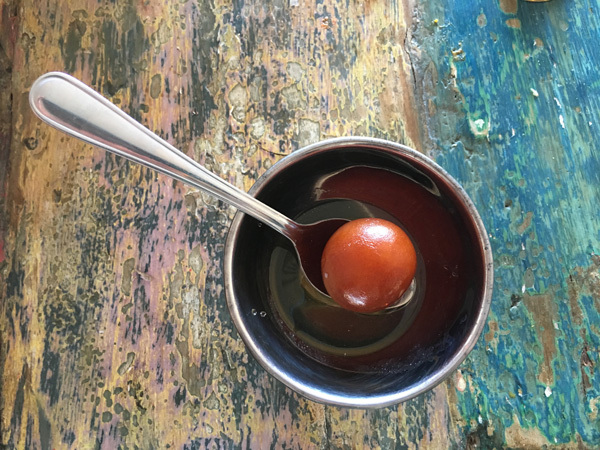 While we sank into the comfy couches, Sima, our lovely server whipped up some soothing, milky Chai Masala and brought us each a Gulab Jamun – a ball of light pastry made from dry milk and floating in honey syrup. 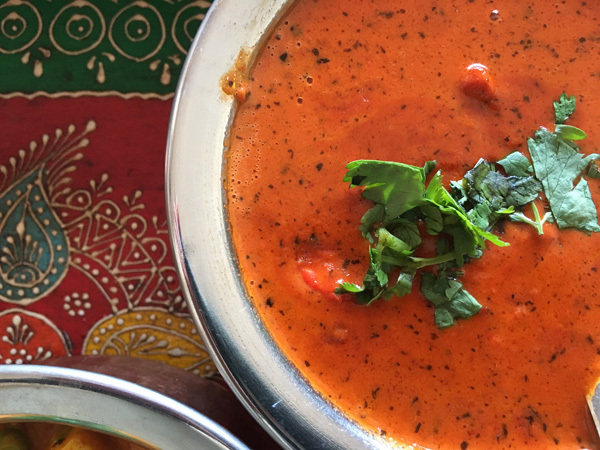 I can’t wait to go back and order my way through the entire menu testing traditional items like Biryani, Vindaloo, Korma and other street food faves. 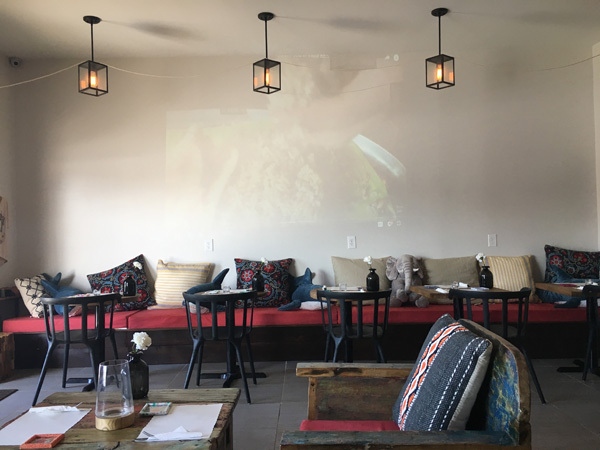 Good to know: In the evenings, enjoy Bollywood music and Indian food shows projected on the wall. Cash ONLY. Visit the facebook page for more info and hours.